I came to NYC eight years ago from Sydney. 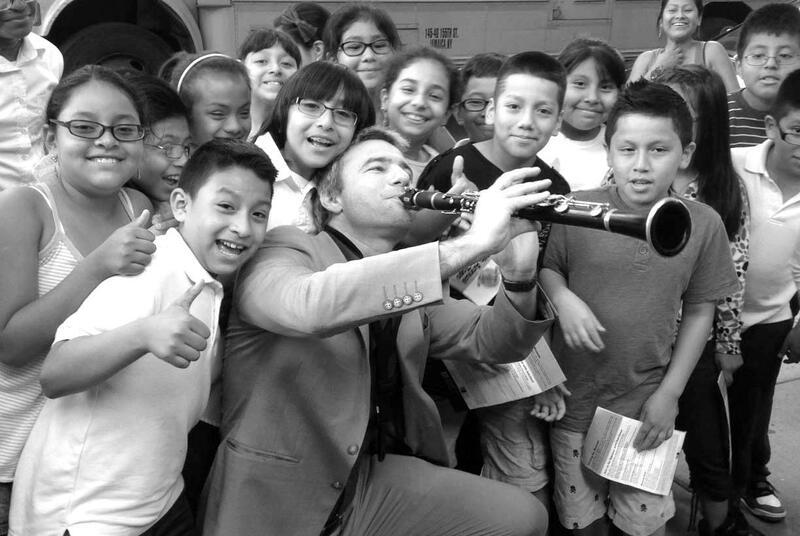 With a clarinet in hand and a bag full of dreams (and reeds), I jumped the fence at Mexico (don’t tell Trump) and made my way to New York City—or “the big smoke” as we describe a big city back home. What did I find? Well, for starters—there was a lot of concrete and not a kangaroo in sight. (Nobody rides kangaroos? Then how do the kids get to school?!) And. . .where was the beach? A two hour train ride away. Dear lord. Not that the beach was at the top of my list—I came over in March. With a temperature at around freezing, I pretty quickly realized that you probably need a scarf and gloves if you were going to live here. And though I had never even owned one before, I realized that in Manhattan, a scarf was far more important than a surfboard. My first question on arrival: why did people live here when there’s bad weather, no beaches, and no kangaroos? Ah yes, the music. Without a beanie, my brain had frozen over and I’d almost forgotten why I came here. New York is an overwhelming place for a newcomer. People came out here every night of the week! Furthermore, New York City has cleverly designed apartments that are too small to actually live in, so that people are forced to go out every night. Genius! And what a thriving jazz scene! Not just the “modern” stuff, but a whole new generation of traditional jazz musicians, and audiences. Imagine my surprise to come to town and discover a throng of smartly dressed young folk playing music by Satch, Duke, etc. with integrity! Since my arrival, the scene has only become stronger in NYC, and I’ve had the honor of playing with some of the finest ambassadors of this music, including having joined Vince Giordano’s Nighthawks as the leader of the sax section. You wanna meet someone crazy (in a good way), then meet Vince. Most people his age might buy a second house as a present for their kids. This crazy guy bought the house next door (literally) for his sheet music collection. (At least sheet music doesn’t need therapy for having such a crazy dad.) His passion for the music over the last 30 years has influenced all us “youngsters” (that term applies to yours truly loosely these days). So I may not be able to hit the beach every day like back home, but I’m as happy as a Koala up a tree playing some of the best music with some of the best musicians in the best city in the world. Did I say “best” too many times?